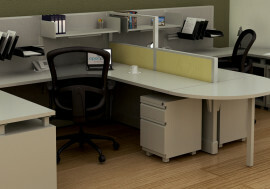 Our metal Desking System offers more options and flexibility in the workplace. 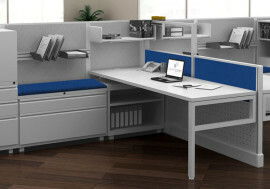 With a variety of low storage options, paired with coordinating legs and overhead choices, this system proves to be exceptionally functional and can be easily integrated into any environment. 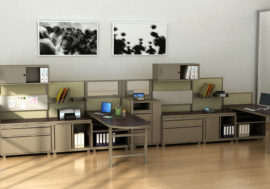 Our pedestal, two drawer two storage and wardrobes come standard with a metal top, cord management and square legs. An optional laminate or cushion top is also available. 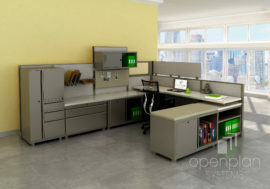 Combine our OPS2 Panels or OPS2 Tile Panels with desking components to create a personalized work station that can suit any application. 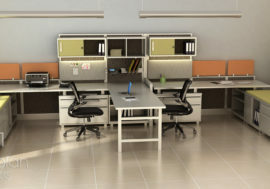 The practical functions and low cost of our desking truly create a value added option for all businesses. Want a little extra privacy? 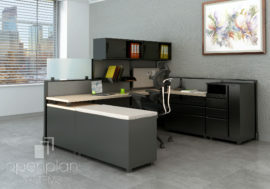 Fabric mullions provide a sense of privacy while maintaing a collaborative environment. We also offer tempered and frosted glass for a more designer look.